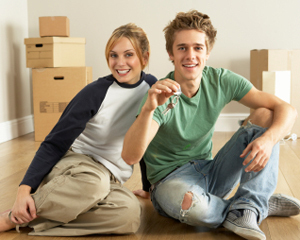 When it comes to buying an energy-efficient new home in Atlanta, you want to choose a builder you can trust. Many builders say they can build you a green home, but finding one that actually encompasses earth-friendly qualities in their everyday lives is rare. Brock Built’s dedication to not only building green, but also living green is what makes them stand apart. In fact, when you purchase a Brock Built home, you can rest assured that all of the natural stone in your new place came from Fox Mountain, which is located on the Brock family farm. The stone is harvested from their property, sifted and carried by dump truck back to Atlanta. Then, their on-site masons hand chisel the stone to make sure every single piece is a unique work of art. Once they are done, the stone is then ready to be used in fireplaces, firepits, home exteriors, landscaping boulders and retaining walls. 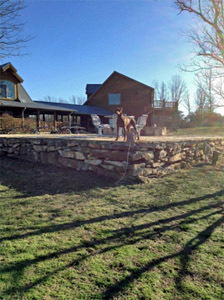 In addition to gathering all of their natural stone from the property, the farm is also run completely on solar power. Their solar energy system uses a series of panels to send the energy the home and well require to batteries. And, all of the home’s water is heated through tankless water heaters, which are more efficient in terms of energy and money. Being committed to an eco-friendly lifestyle is just part of what makes this Atlanta home builder‘s GreenSmart program stand out from others like it. All of their homes are built to high standards for energy efficiency, and they include features such as radiant barrier roofing, spray-on fiberglass insulation, house wrap, high efficiency light bulbs, ENERGY STAR appliances and 14 Seer A/C units. To learn more about Brock Built’s communities of Atlanta new homes and their GreenSmart program, visit the Brock Built website. This entry was posted in Energy Efficient, Green News and tagged atlanta home builder, atlanta new homes, Brock Built, energy efficient homes on June 17, 2013 by Carol Morgan. Heritage at Kennesaw Mountain, Sterling Walk and Belmore Manor are Atlanta new homes that are sure to attain your homeowner dreams! 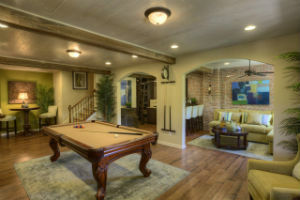 Ashton Woods Homes created finished basement floor plans that are alluring, energy-efficient and selling out quickly. On a rainy or hot summer day, these charming basement spaces are perfect for having a chilled drink or playing board games with the kids. This entry was posted in Energy Efficient and tagged ashton woods homes, atlanta new homes on June 13, 2013 by Carol Morgan.